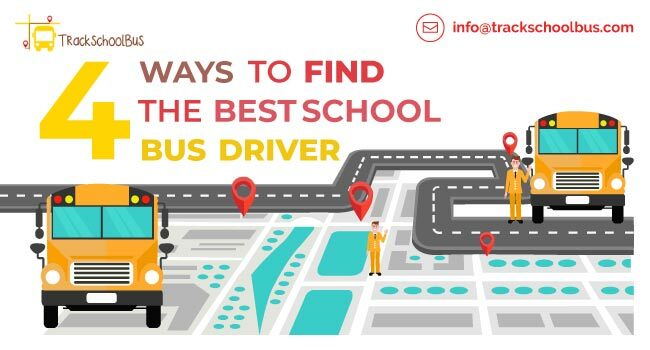 The job of the school bus driver comes with immense responsibility and requires utmost patience. 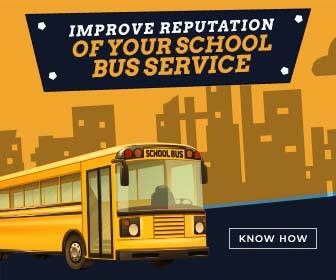 Transporting students to and from school safely requires the drivers to adhere to rules and regulations strictly. In addition to safe driving, dealing with students, parents, schools authorities and bus companies on a daily basis requires a lot of effort. 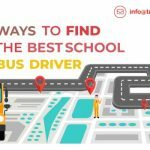 These occupational hazards take a toll on the health of the school bus driver. The driver’s regular, hectic schedule relegates personal fitness to the lowest level of priority. 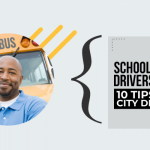 The job of the school bus driver involves high stress which causes in numerable diseases. Drivers have to drive the school buses safely through the busiest streets in the cities through peak hour. He has to deal with other errant drivers on the road. The process of maneuvering the school bus through traffic jams and road accidents is extremely stressful. School bus driver’s has to oversee the overall discipline of students on the bus. Student fights, bullying has to be solved promptly. Unruly student behavior is a strain on the driver causing lack of concentration. Another aspect of strain to the driver is dealing with the parents. Parents having varying requests can be very demanding and irritable handling them is a disturbing process to the drivers. 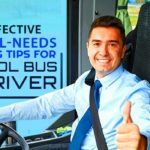 The drivers very often do not get adequate support in his activities from the school or bus management. The authorities are not receptive to school bus driver grievances. This again makes drivers unhappy and irritable when on duty. After driving through heavy traffic and handling boisterous young children, the drivers are hardly in a frame of mind to exercise or go for gym activities. Driving safely, watching out for rogue drivers and controlling their emotions leave them mentally and physically exhausted at the end of the day. Stress relieving programs for drivers are of prime importance. Exercise and yoga are of help in reducing stress. 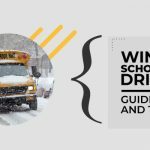 Schools have to institute mandatory sessions for drivers during their down-time. Periodic motivation classes, rewarding drivers for their good deeds can help improve morale of the drivers. The feeling of being looked after makes the drivers more loyal to their job. The feel-good factor makes them cheerful and stress-free while on duty. This leads to psychological disorders. High levels of stress and anxiety cause insomnia. This makes the drivers lethargic and nervous during their daily operations. Their inability to concentrate will endanger the safety of the students. Extended periods of insomnia will cause disturbances in the health system causing mental disorders. Obesity increases the risk of contracting diabetes at a younger age. This increases blood cholesterol levels which increase the risk of a heart attack. The drivers sit for long periods of times on the bus. Drivers continue sitting between work hours also.Sedentary nature of the job leads the drivers to become over-weight. Stress also leads to obesity. This makes them high-risk candidates for heart diseases and other serious health issues. Studies have shown that the drivers are sedentary for more than 12 hours on a normal working day. Most of the drivers are over-weight. These two factors together rank them as a priority group for health interventions. Lack of exercise leads to reduced levels of cardiovascular fitness. Raising the levels of physical activity during the bus driver’s off-time is a solution to this serious issue. Increasing the driver’s movement will reduce the risk of potent heart problems. Alternatively, being over-weight does not necessarily equate to being unhealthy. Over-weight could be a catalyst in raising the risk. Prevention being better than cure it is always better to be active and keep check of the weight. 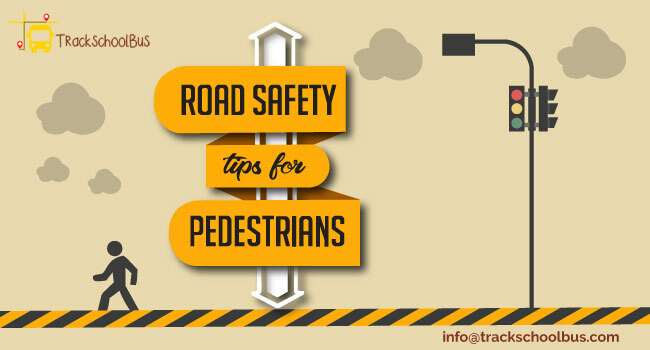 Walking, jogging, aerobics and bicycling are activities suggested to keep the drivers healthy. They can pursue these activities during their off-time. Short durations of 10-20 minutes of exercise reduce the risk for illnesses and improve health. Free use of the school gym is also recommended to keep fit. Schools can arrange sports events and challenges to motivate them into action. 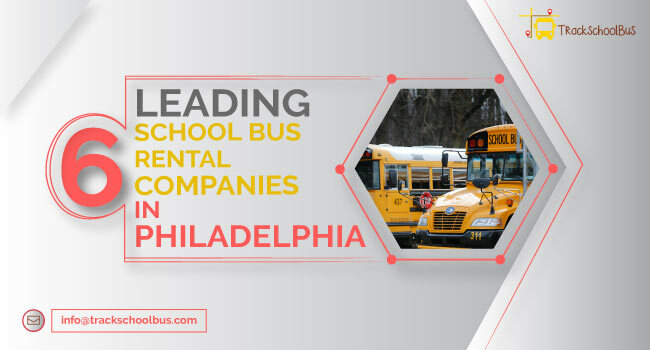 Bus companies can allow them in their basketball, volleyball, softball teams. They can be encouraged to take part in tournaments and matches. Aches and pains in the back, neck, shoulder and knee are experienced by the drivers due to nature of their job. The driver’s cabin does not allow for much movement or stretching.Constant use of the leg on brakes and accelerators causes wear and tear of the knee and calf muscles. Frequent turning of the head, when students board and get off the bus, lead to neck pains. Back-aches are attributed to the stressful, stiff posture the driver holds while on the driver’s seat. Vibrations of the bus and frequent crossing of humps result in lower back pain. Exercising and stretching while off the bus is the only solution. Ergonomically designed seats help alleviate this problem to an extent. High-calorie diets increase cholesterol levels. Eating junk food causes gastro-intestinal problems. Reduced intake of water causes dehydration. Poor eating habits of the drivers result in health issues. School bus drivers on early morning trips and late field trips do not find time to have proper healthy meals. They most often end up having high-calorie donuts and fast food instead of well-balanced meals. The long hours of sedentary off- time tempts them to over eat. The schools can provide a nutritional healthy pack at least once a day at a low cost or even free. 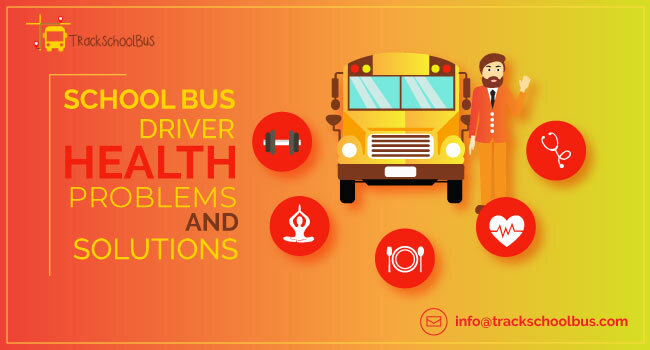 The schools need to arrange periodic health check-ups for the driver. A diet plan can be prescribed for each driver. They can be persuaded to eat regular healthy meals. Inhalation of diesel exhaust fumes–causes respiratory and cardiovascular diseases. 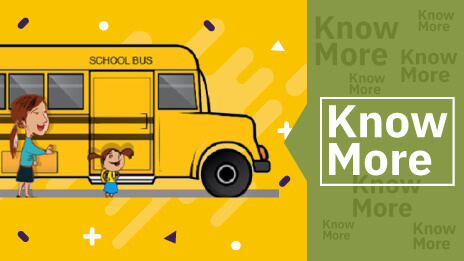 School buses emit fumes from the exhaust which enters the bus when the doors are opened and closed and through the ventilation systems. Constant exposure to these fumes cause asthma, bronchitis, lung damage and may even turn fatal. 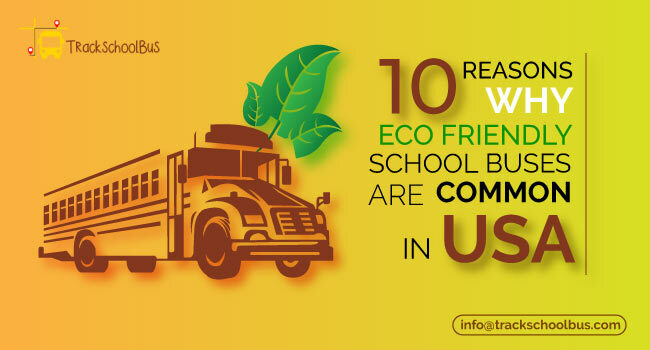 The only way to reduce the emission of fumes is to reduce the idling time of the engines mainly at the school parking area and at the bus-stops. Use of newer buses with cleaner engines will help in reducing the emissions. The best option would be the use of electric buses as they will in total eliminate this risk. Drivers are prone to fall ill due to virus and bacterial infections like the flu, common cold, hepatitis B. This is mainly contracted through helping sick children on the bus. Using gloves and surgical masks can prevent spreading of the virus. 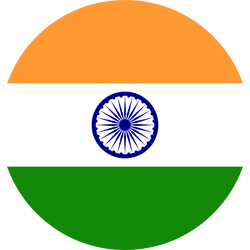 The individual driver’s inclination and his desire to use the facilities provided to him is finally the key to his health.Periodic presentations on health and nutrition can create awareness ofthe health problems associated with lack of fitness. The wellness programs should motivate the drivers to make full use of what is offered in improving their health. Wellness programs instituted have to be low cost and convenient for the drivers to avail them. Swimming pools and gymnasiums in school districts can be made available for their use at a low fee or even for free. The programs are to be personalized. They should be sensitive to age and the driver’s needs. The programs have to be made voluntary and flexible. The programs have to be recorded and evaluated frequently. Stress management programs have to be incorporated. Informal programs will allow drivers to relax, bond and share their thoughts with their colleagues. 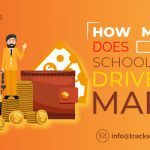 Schools spending on wellness programs for drivers will reap proportionate benefits. There will be less absenteeism. The number of drivers reporting sick without prior information will fall. This will be of great relief to the school as there will be less disruption in the bus schedules. 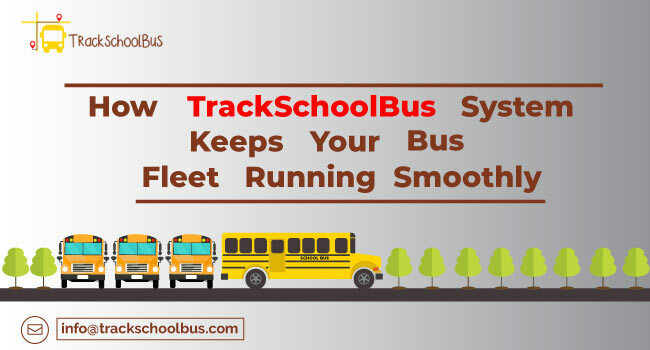 A level of physical fitness in school bus drivers is imperative. They should be alert, agile and efficient to attend to the needs of the students on the bus, in cases of emergency. 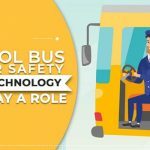 Safety being the priority, the driver’s health issues should not impede their ability to drive the big school bus safely.